“Family Limited Partnerships” or “Family Partnerships” are smart legal tools useful for family estate planning. Using them, a family can shift income from high tax bracket family members to lower tax bracket members and save taxes. Mom and dad can gradually transfer ownership of family assets to the children or grandchildren and still keep control the assets. Family limited partnerships or family partnerships also protect assets and are used for a number of various estate planning strategies. If you have a business, invest in real estate or make money in any way other than as a W2 employee, and you find yourself with a tax problem. That’s a great problem to have, but you need to figure out how to save taxes and do your estate planning. Using a family partnership, you can divide up your assets by “giving” them to family members. This will reduce the value of your estate for estate planning purposes and let you “shift” the income generated by the assets to the “owners” of the assets, only “passive income can be “shifted” to someone else. You have to be careful using this strategy, because a gift tax kicks in when family members are actually being given an interest in the asset. Any time there is a gift, you need to think “gift taxes.” There are several ways to get around gift tax issues. I cover a number of them in my book Protecting Your Financial Future. A limited partner is responsible on their tax returns to pay taxes on their share of the family partnership profits. If the limited partner is in a lower tax bracket, they don’t pay as much in income tax, and the family saves taxes. This is a great way to “help” family members who are in lower tax brackets while the family saves taxes as a whole. If children under age 19 or 24 for college students become limited partners a special “Kiddie Tax” kicks in. The Kiddie Tax only allows about $2.000 in passive income to be taxed to your kids before they have to start paying income tax at daddy’s rate. After a minimum about of income is shifted to a child, a huge penalty tax kicks in. The IRS is determined to discourage income shifting. They keep making the Kiddie Tax rules more powerful. Note that if you are in the “sandwich generation” and find yourself supporting older family members, the Kiddie Tax doesn’t apply. Limited partners can also take any losses allocated to them by the family limited partnerships or family partnerships. The losses will reduce their taxes. Even though limited partners can take losses on their tax returns, they are not responsible for any of the family limited partnerships or family partnerships liabilities. Creditors of the family limited partnership can only go after the value of the limited partner’s interest in the family partnership. However, the general partner of the family limited partnerships or family partnerships is fully liable. While family limited partnerships or family partnerships have great liability protection for the limited partners, they are an asset protection problem for the general partner(s). The general partner, who makes all the decisions and holds all the power, is also personally liable for all the liabilities and debts of the partnership. So while limited partners are only liable for the amount of their limited partnership interests, general partners are liable for everything. To solve this problem many attorneys set their clients up with a corporation or an LLC (limited liability company) as the general partner of the family partnership. This supposedly prevents mom and dad from being personally liable as general partners. The key words in the first sentence of this paragraph are “set their clients up.” The attorney has set up their client with two entities, the family limited partnership and an entity that acts as the general partner. 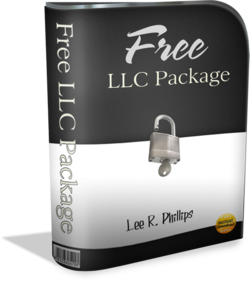 Why not just use a Limited Liability Company (LLC) in the first place and skip the family limited partnership? The attorney got two fees, one for the family partnership and one for the general partnership entity. Now you have two entities to file taxes for, pay fees ever year for, and “maintain.” There isn’t much you can do with a family partnership that you can’t do better with an LLC. Both the LLC and the family limited partnership have a powerful asset protection tool called “charging order” protection. Charging orders are used to protect the assets of the family limited partnership from the personal creditors and liabilities of the partners (limited or general). Charging order protection is a big deal that most attorneys never talk about. Traditionally FLPs were used for estate planning purposes to reduce the value of mom and dad’s estate. With the estate tax exemption raised to $5 million, estate planning designed to reduce estate taxes isn’t as big of an issue as it used to be. If your estate is over $5 million it works this way. Say you have a large piece of property and another big asset, such as business stock, if you transfer them into the family partnership, you can still control them, as the general partner, but their value is out of your estate for estate planning purposes. Use the gift tax strategies so you don’t have a gift tax issue. The family limited partnerships or family partnerships are neat, because you are giving away value, but you are retaining full control of the assets. 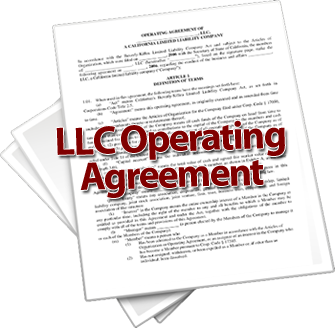 By law, the general partner(s) of the family limited partnership control the assets of the family limited partnership. Limited partners have no say in the management of the family limited partnership assets. So you maintain control, yet you can still give away value in your estate to your children and grandchildren. Family limited partnerships or family partnerships make good estate planning and asset protection entities. It is a good idea to study how to use them and seriously compare them to the LLC. Either one of the entities is a good estate planning tool. I go over estate planning and the tools a lawyer has available in my book, Protecting Your Financial Future. Your advisors should be able to give you good reasons why you should use a family limited partnership or an LLC. Make them justify what they are doing for you.